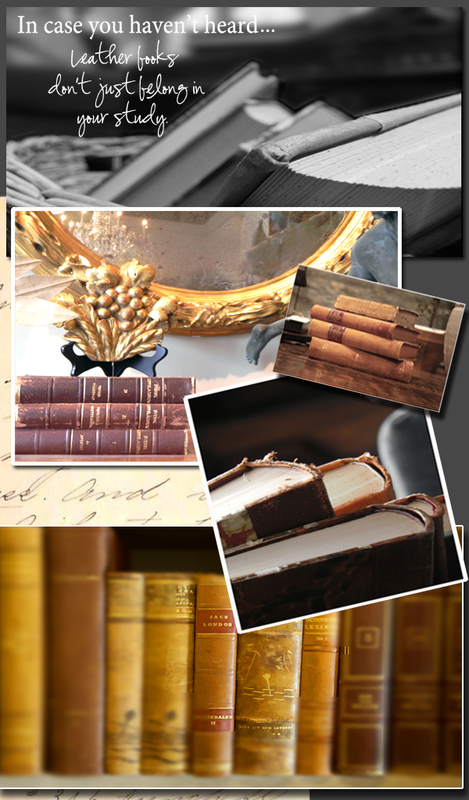 If you haven’t noticed by some of our past blogs yet, R. Higgins Interiors has a thing for leather bound books, hence our large collection. We have discovered that they can be used in such versatile ways and offer instant texture and interest to an empty space. Despite the fact that they consume our showroom shelves and are usually scattered throughout various rooms in a client’s house, they always manage to give a polished appearance. It’s their sophistication that that makes them such a popular accessory for us to use. Roger buys the books in bulk each month at market. Most are written in other languages, but that’s where we find the beauty in them. It’s the idea that they’ve traveled the world and have somehow landed in our hands that we find fascinating. It’s always special to open one up and find a handwritten inscription, even if you aren’t able to understand, it gives a sense of age and intrigue.